This adidas Yeezy Desert Rat 500 features a ‘Triple Black’ theme while dressed in Utility Black. Constructed with a mixture of mesh, leather and suede, the look is completed with it’s traditional thick midsole. 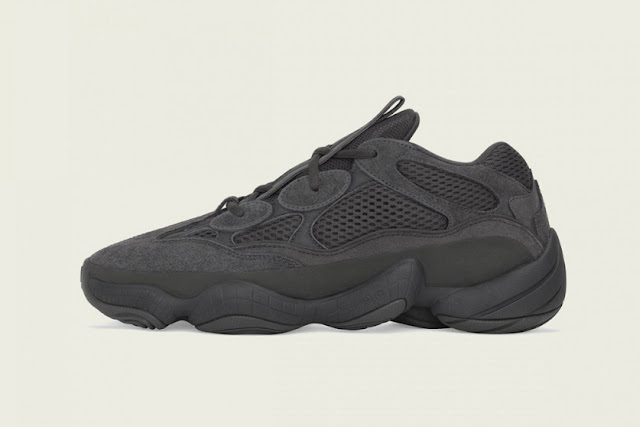 The adidas Yeezy Desert Rat 500 ‘Utility Black’ will drop on Saturday the 7th of July.